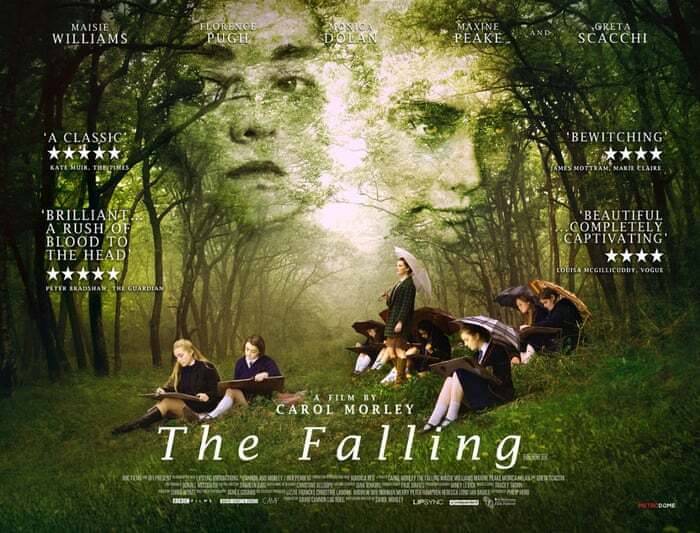 The Falling is a movie that would have been improved with the words “based on a true story. If it had been based on a true story, it would have at least meant that the restraint, slightly confused and stunted story that this movie delivers would have been for reasons of accuracy. Instead, the movie seems to ignore some of the great potential in the bizarre story and focuses more on some of the bizarre elements that don’t make a whole lot of sense. The story starts in a strong and intriguing way. Florence Pugh plays Abbie, a restless, lost spirit who is clearly older than her age would have you believe. 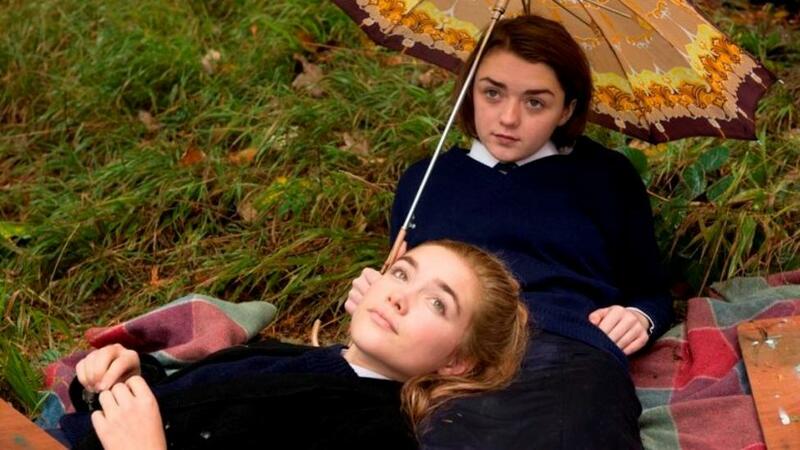 She gets pregnant, much to the chagrin of her best friend, Lydia, played by Game of Thrones’ Maisie Williams. Abbie’s pregnancy results in a fainting, fit and then death, quite suddenly. The film then shows the effects of this sudden death on the fragile Lydia and the group of friend around her. It is quite a decent set-up and has many different directions to go down. It is a shame that the direction they choose is delivered so limply. The girls that were closest to Abbie begin to faint in the same way she did. First Lydia and then others, suddenly and without reason, all through the school in which Abbie died. The film is still intriguing at this point, even if you have to overlook some of the most over-dramatic and worst falling/fainting you have ever seen. The film begins to lose its way at this point. What begins as a potential story of attention-seeking versus genuine illness is just scenes of young girls doing a very poor job of fainting. Could this be a genuine sickness? Could this be the ghost of Abbie haunting the school? Could this be Lydia’s attempt to make up for a troubled home life, leading a group of impressionable girls astray? All these questions are left unanswered and never seem to be the focus of the movie. Instead, what we do get is a look at Lydia’s home-life, her bizarre relationship with her brother (which goes in directions that feel very unnecessary) and her distant Mother, who seems either scared or over-whelmed by her confident daughter. When this aspect of the story is finally resolved, it comes far too late with a strange finale that does nothing to answer any questions or leave the film worthy of your time. The most infuriating aspect of The Falling is the lost potential. More could have been made of the fainting, or the links with Abbie’s death or the troubled home life of William’s Lydia but instead we get a slow trudge through many different scenes of girls fainting, often badly, with very little reason, sense or story-telling. Overall, The Falling is a movie in need of an injection of creativity. Add a supernatural element, a look at grief and attention-seeking or even the lasting effects of trauma which is tearing a family apart, all ripe for story-telling, and you could have a decent drama. What we actually get is a much more limp movie with very little in the way of style or creativity that is trying to hard to be arty and forgot to be entertaining.